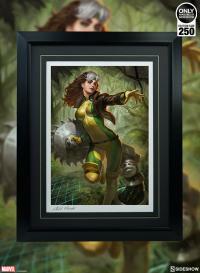 Sideshow is proud to present the Rogue Fine Art Print by Ian MacDonald and Alex Pascenko. 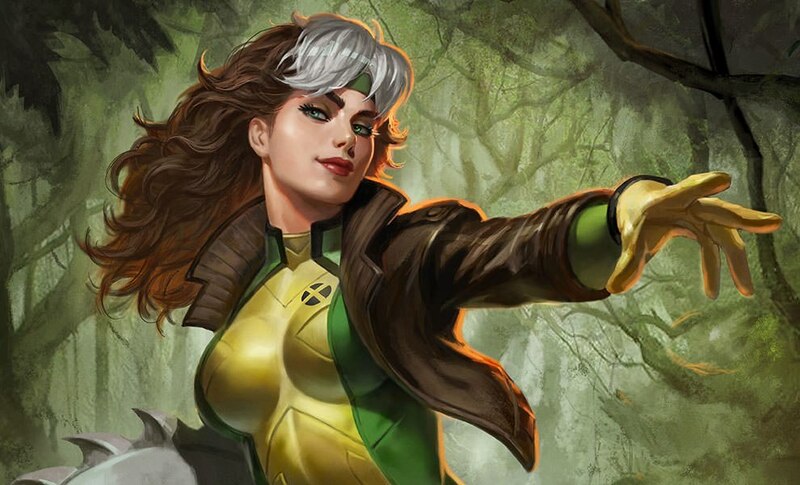 When things are going south for the X-Men, that’s when Rogue is ready to shine! 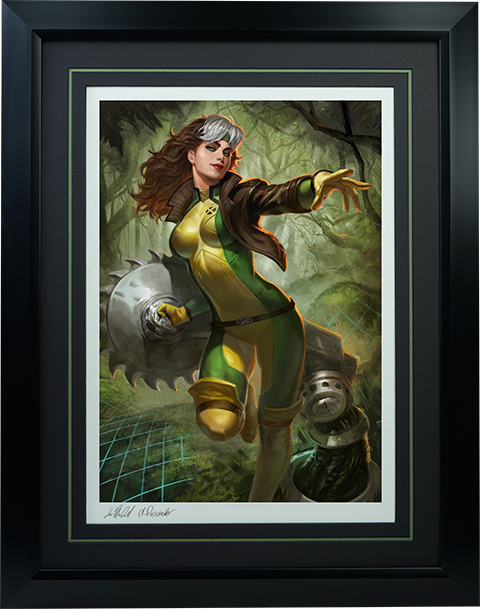 Using her marvelous absorbed powers, the heroine wrenches a mechanical buzz saw arm from the floor of the Danger Room facility, which is projecting a lush and overgrown forest simulation to test her mutant might. 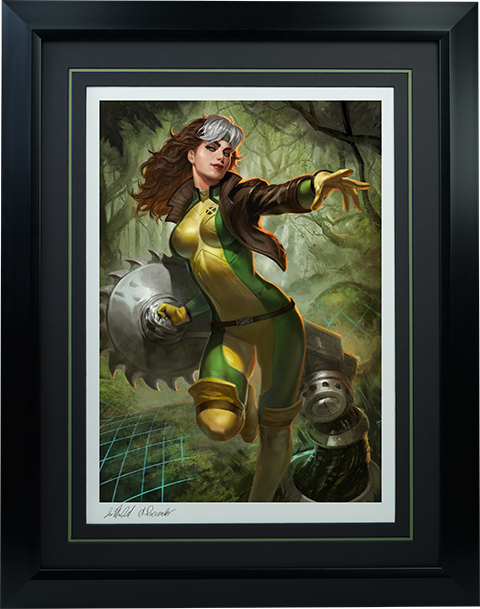 Rogue is clad in her classic green and yellow costume, complete with her stylish bomber jacket and wild hairstyle, ready to take out any unwelcome X-Mansion guests with her strength and Southern charm. 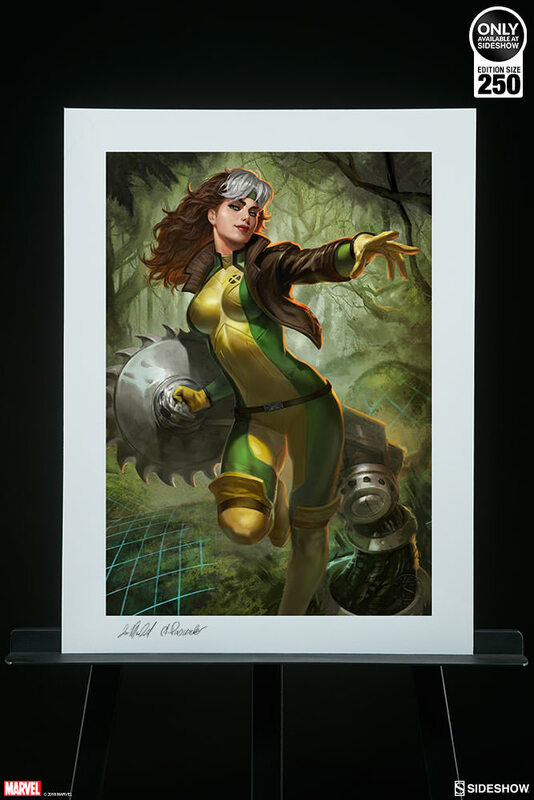 The Rogue Fine Art Print by Ian MacDonald and Alex Pascenko is limited to an edition size of 250 pieces, each embossed with a seal of authenticity. 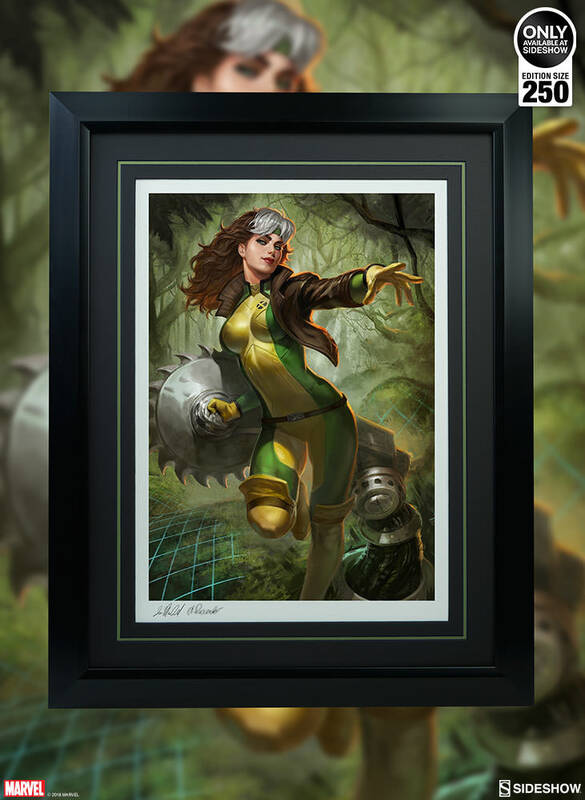 Pair this print with the Rogue Maquette for a dynamic display of mutant Marvel collectibles, a must-have for any X-Men fan! 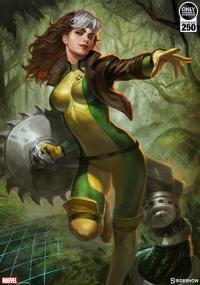 C’mon, sugah! 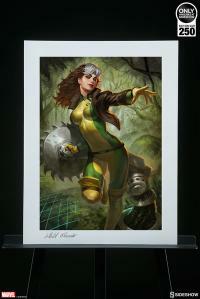 Add some mutant strength to your Marvel art collection with the Rogue Fine Art Print today. 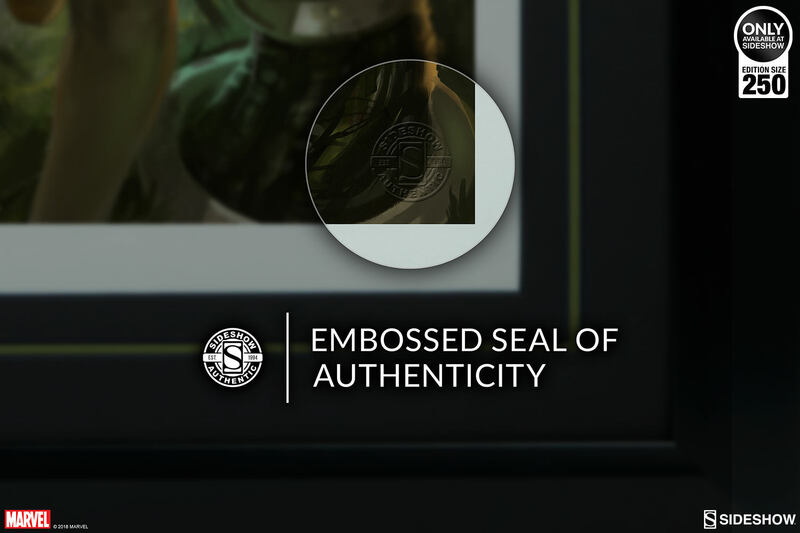 Note: If the framed option is chosen, your order will be specially framed for you. 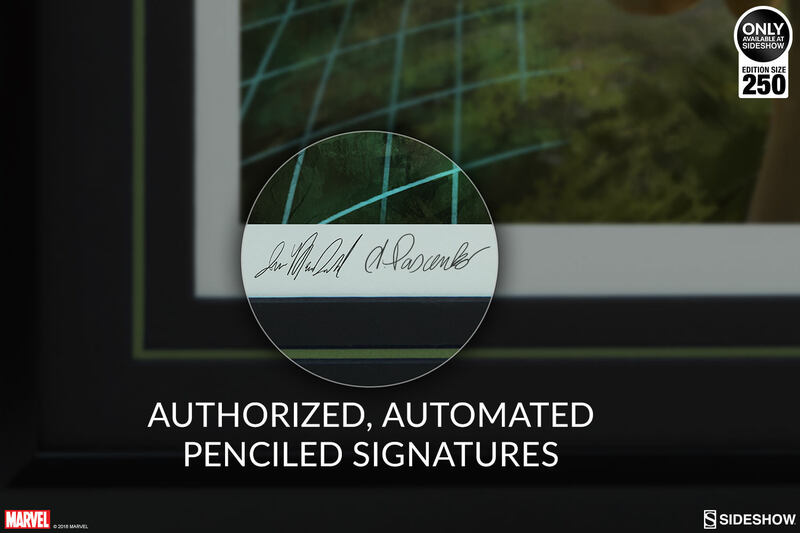 Please allow additional time to frame and ship your order. Born in Russia and now based in Germany, concept artist Alexandr Pascenko is a self-taught illustrator specializing in character and figure creation. 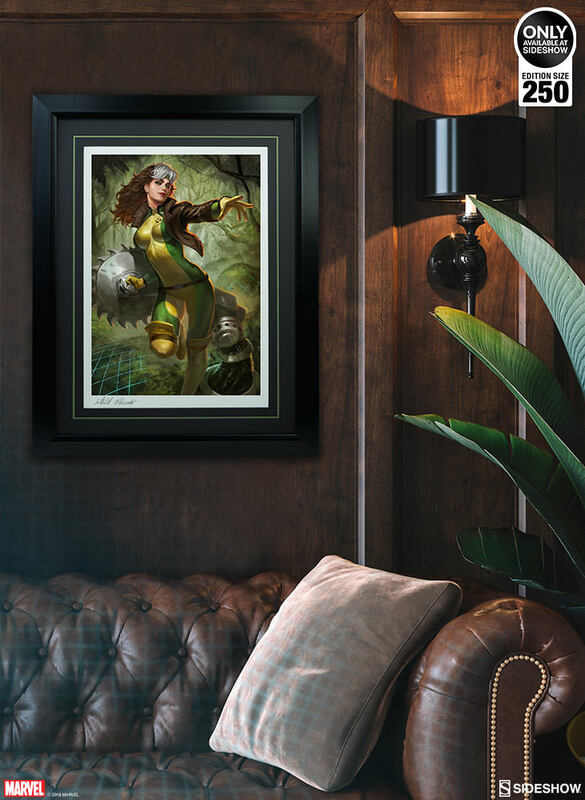 With a definite affinity for sci-fi and beautiful girls, Alex has produced stunning artwork for various companies and publishers from all over the globe, now including Sideshow. 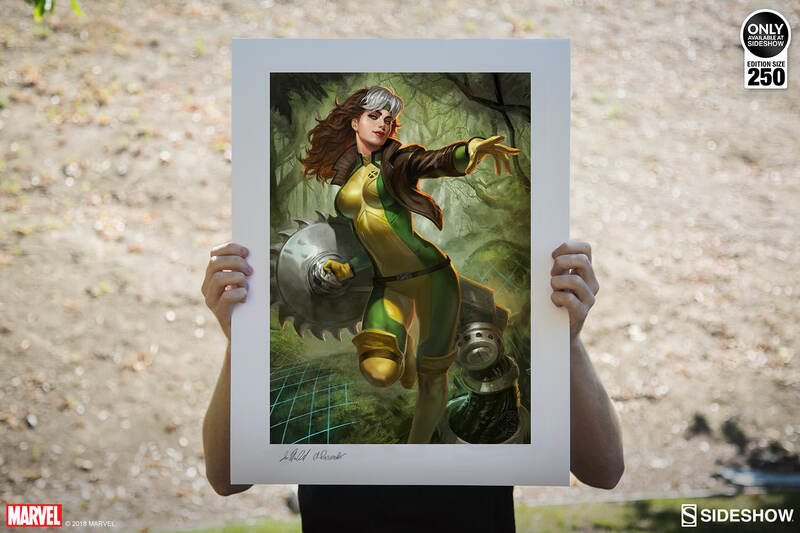 For more of his work, private sketches, and tutorials, check out his blog and Facebook. Ian MacDonald, or “Moose” as he’s known in some circles, was born in eastern Canada in 1988. 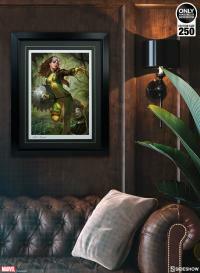 He’s a graduate of animation, and after having previously worked a brief stint on the My Little Pony television series, now uses his knowledge acquired through that medium to apply to concept design, painting and art direction for licensed products at Sideshow. When not drawing undead creatures or superheroes, Ian spends his time nerding out to video games, movies, and explaining to people in depth why he doesn't like cheese.